Here is our great new poster for this year’s prize designed by the lovely people at Ultimate Holding Company. Please take a note of the details. 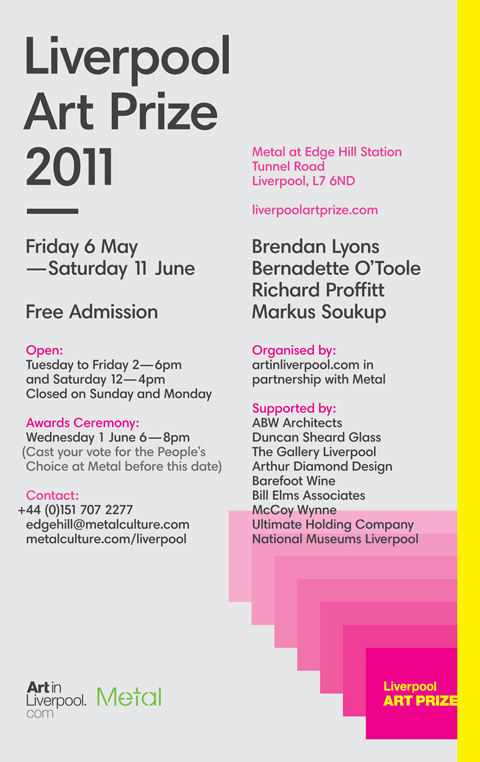 The Private View is on Thursday 5 May 18-21.00 at Metal.